The idea of home means different things to everyone. For many students, Whitman may become a second home, and for many, it’s impossible to forget where they came from. 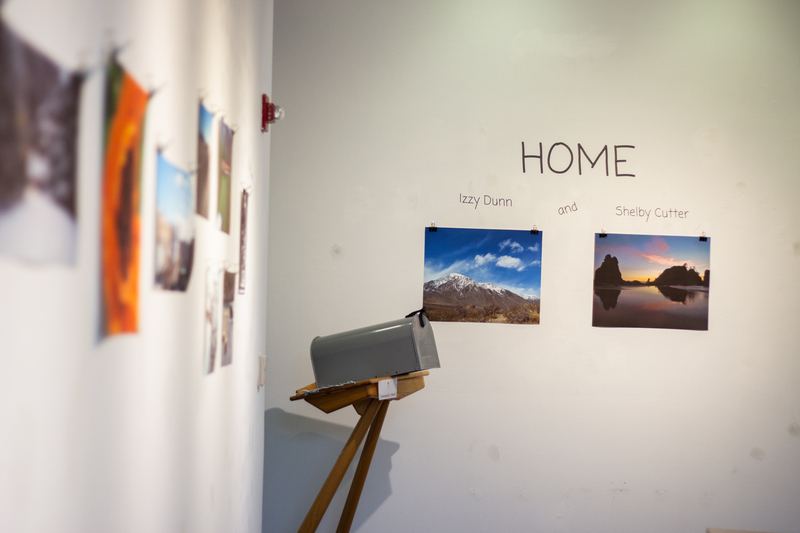 In a recent exhibition in the Stevens Gallery, Shelby Cutter ‘19 and Izzy Dunn ‘19 displayed photographs they had taken of places that are home-like for them; thus, they titled the exhibit “Home.” Although the two seniors come from very different places–Dunn is from the East Coast while Cutter hails from the Pacific Northwest–their photos, which ranged from mountainous landscapes to city skylines, spanned the country. 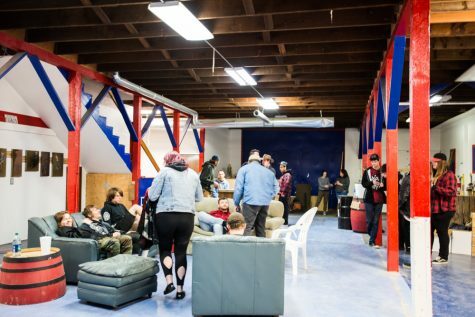 The exhibit was set up during the fall semester and has just recently been taken down. However, the importance of thinking of home remains. 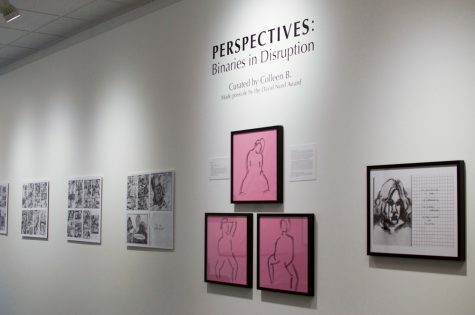 Cutter, a geology major, and Dunn, an art major, sat down with The Wire to talk about their thoughts about the exhibit. 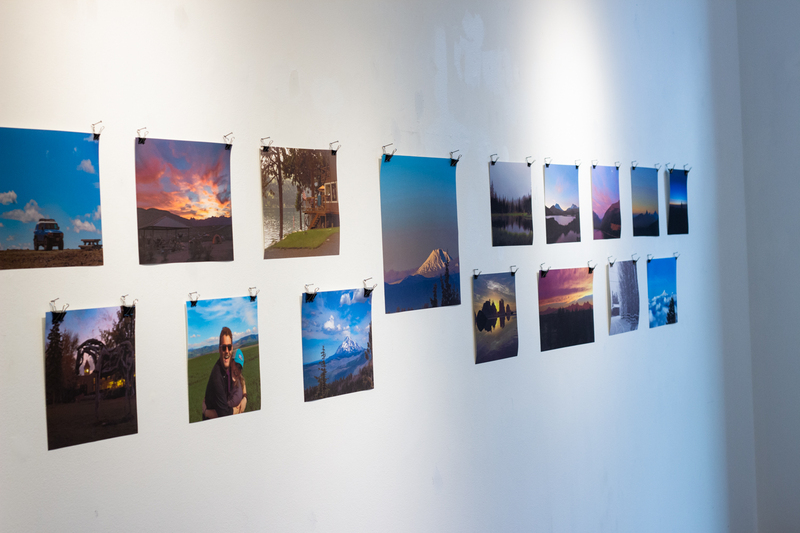 The exhibition celebrates the beauty of natural landscapes, skyline, and sunsets through photography. 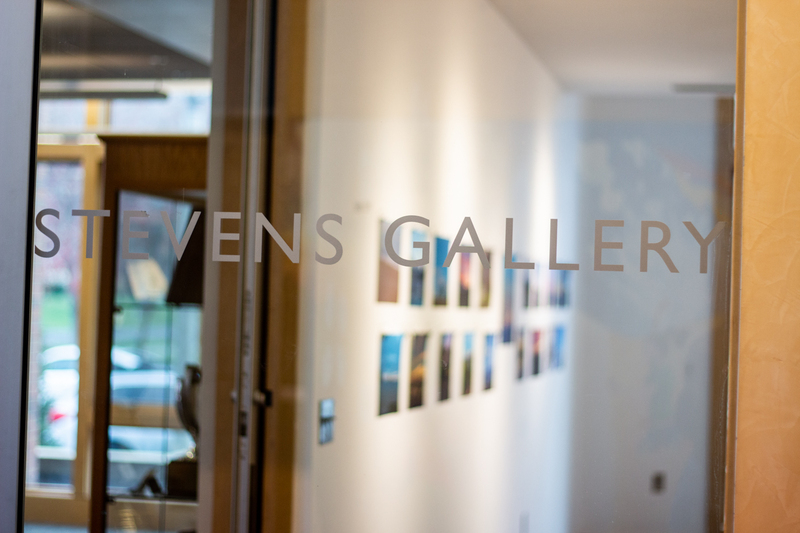 Photos located in Stevens Gallery. 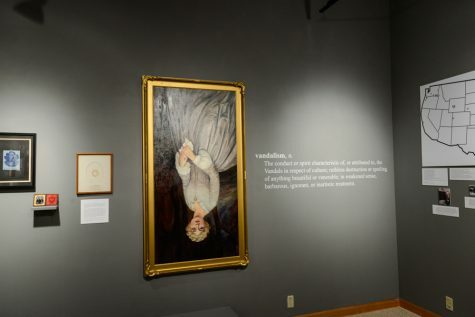 Whitman Wire: How did the idea for this exhibit come about? Izzy Dunn: Shelby is friends with the person who runs the gallery [Rachel Loe], and she [Cutter] was like, “Hey Izzy, I know you do photography–do you want to do a ‘Home’ photography show?” and I was like, “Yeah, why not?” So I kind of went through and pulled from a bunch of old photos that I’d taken. WW: How are the photos in “Home” connected? Shelby Cutter: All of them just kind of have the same theme of, these are places where we feel really comforted and content, and what was really cool was Izzy put one up of Smith Rock, where I also feel at home because I’m from that area, and it’s really nice to know that Izzy also feels at home there, so my home has become her home, and that’s awesome. WW: Can you talk about the idea of home and what it means to you? ID: It was Shelby’s idea to have home be the theme, and I was having a hard time finding pictures of just the East Coast because most of the photos that I’ve taken have been either out here or in other places that I’ve gone to. I haven’t taken a whole lot of where I live, so I had to broaden my definition of home. But it was nice going through all of my old photos and being like, oh man, I have all these memories attached to this one, that really feels like home. I put a whole bunch in from Smith Rock, which is my favorite place in the whole world. WW: What was the most enjoyable part of putting the exhibit together? SC: My favorite part was just going through all of my photos on my computer and finding the twenty or so that I put up. Just going through all the pictures from the past five years was really fun because I’d get all these memories from stuff I did. 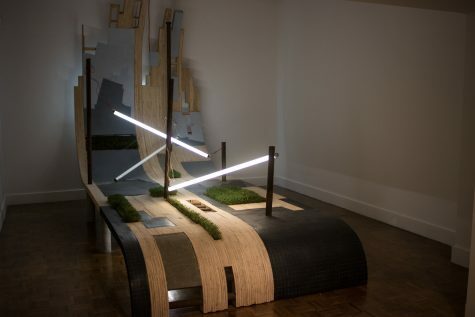 WW: Have you heard any reactions or feedback from visitors to the gallery? SC: Rachel had a mailbox left over from the last exhibit, so we just put that in there and was like at home there’s a mailbox, and there were notes in there [from visitors]…That was really nice to go in there and open my mailbox and read all the notes. We got some good reactions from it. WW: What is the value of having student exhibits like this one? ID: I think it’s great because I know Shelby doesn’t take art classes–and if you’re in the art classes you get a fair number of opportunities to display your stuff in that building–but it’s good that people who don’t necessarily study art have a chance to put their work up and have a wider variety of people see it and comment on it and get different kinds of feedback. SC: Home is what you make of it. Because it’s not like I took pictures of only places of where I’m from. A lot of them were here in Walla Walla, they were all around the Pacific Northwest…and now Walla Walla’s like my home. ID: Home doesn’t have to be where you grew up or where you live now; home is different for everybody.